More product ⇒ Rice’s Gift, Summon card, Adventure card, Management card. Top-up Food Fantasy! Buy Food Fantasy Crystals using Globe, Smart/SUN, GCash, Bank Transfer, 7-Eleven, Robinsons and Bayad centers. There's no credit card, registration, or log-in required, and the Crystal will be added in your game account immediately after you complete the payment. To find your User ID, click on your avatar in the top left corner of the main game screen. Your user ID is shown under your Username. Please input the complete user ID here. Buy Food Fantasy Crystals online with no credit card! 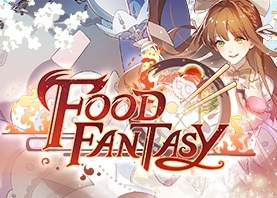 Food Fantasy is a food personified mobile game combining the elements of combat adventure and restaurant management! Discover various stunningly beautiful Food Souls and listen to their unique voices done by a cast of world-renowned voice actors. Enter a world filled with Food Souls and start your foodie adventure! [DIY management] Create a world-class restaurant! Socialize and manage your restaurant. [Unique Controls] Take control and lead your Food Souls into battle!